We appreciate Rodney Albee and his ongoing involvement in the Choctaw community. 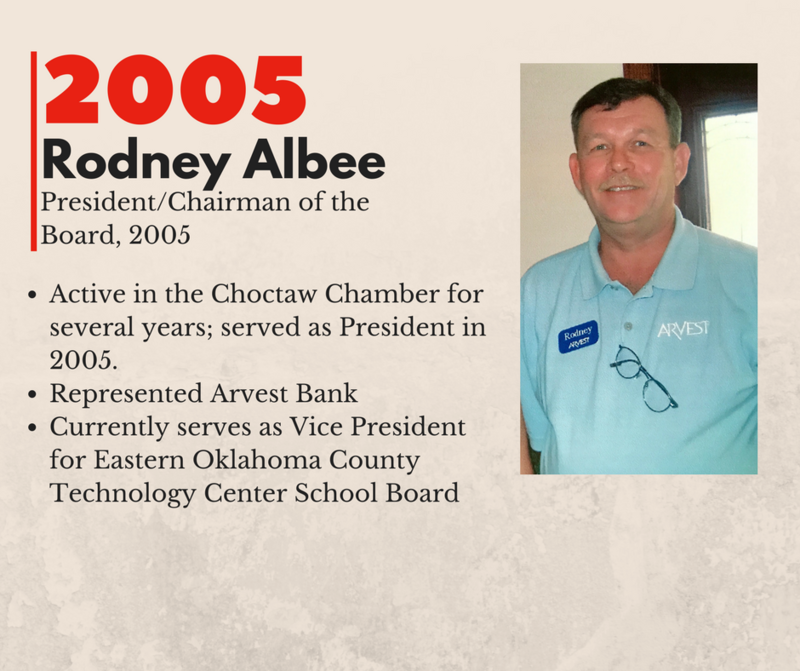 Albee has been active in the Choctaw Chamber for several years; served as President in 2005. He currently serves as Vice President for Eastern Oklahoma County Technology Center School Board.